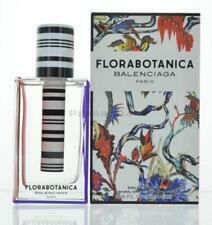 BALENCIAGA Eau de Parfum Spray 2.5 oz New in White Tester Box. Balenciaga Arena Vert Amande EU41 Size 9. Preowned worn ONCE GREAT CONDITION. Authentic. Balenciaga Sneakers. No box, comes with an extra pair of laces. Balenciaga Men’s Speed Trainer Size 10. Condition is New with defects. Shipped with USPS Priority Mail. Style #: 506336W06501006 - Made in Italy. Upper: textile. Sole: rubber. super chic and authentic balenciaga city bag black. Slight wear at edges, Condition is Pre-owned. In great shape, clean lining, perfect tassels with no fray. Mirror included and all zippers function perfectly. Shipped with USPS Priority Mail. 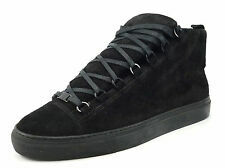 BRAND NEW Black Balenciaga Athletic Shoes Women’s Size 7US 39 EUR. Condition is New with box and manufacturer’s shoe bag. men and women black and white balenciaga speed trainers shoes authentic. Condition is New with box. Shipped with USPS Parcel Select Ground. Pre Own Men's Balenciaga Arena Black Leather Low Top Sneakers Size 12 . Condition is Pre-owned. Shipped with USPS Priority Mail. balenciaga shoes mens 42. Condition is New with box. Shipped with USPS Priority Mail. Worn once balenciaga triple s. Amazing condition!!!! Purchased from balenciaga store on madison ave 100% authentic. Will provide receipt. These were purchased for my husband size 9 men’s. He only wore them once to the airport. Small on him. Fits true to size. Comes with box extra shoe laces and dust bags! Please only serious bidders Please don’t message me saying they have different logo and are not authentic. The logo changed from the original triple S in late 2017!! These have the new logo!! The exterior has several small stains from use. The edges and soles are dirty. The interior is in good shape. Do not miss the opportunity to own this great pair of shoes! Dust bag included. PINK AND BLUE MARKS IN VARIOUS AREAS ON BOTH. DISCOLORED LACE - RIGHT IS DARKER. SEE PHOTOS! SIZE CHART. What you see in the photos is what you will receive. Balenciaga mens arena high top sneakers. Condition is Pre-owned. Shipped with USPS Priority Mail. Authentic Balenciaga Paris black city bag. Condition is Pre-owned. Shipped with USPS Priority Mail. N ew w or n Tw ic e bo x a li tt le b ea t bu t th e sh oe i s in o ve ra ll g re at condition as s ho wn o n pi ct ur es. Pre - Owned Balenciaga Triple S Size 42 US (9) . Condition is Pre-owned. Shipped with USPS Priority Mail. This is not an authentic pair, but a highly detailed 1 - 1 replica of the authentic pair, made with retail materials and extremtly comfortable. WORN ONLY TWICE, LIKE NEW ! Balenciaga Triple S White Trainer Size 45 (US11). Shipped with USPS Priority Mail. (Shoulder) Noticeable rubs on a part of shoulder strap. (Outside Flaws) Minor stains in the outside pocket. Shoulder (cm) : 43 cm. Color : Purple. Material :Leather. Zipper works properly. (Bottom) Minor rubs partially. Balenciaga Black Speed Trainer sneakers white logo base SIZE 10 UNWORN. Condition is New with box. Shipped with USPS Priority Mail. Shoe is new but has a slightly damaged box. Please ask for any pictures or clarifying questions by messaging me. I’ll respond quick. PLEASE DO THIS AS I HAVE A STRICT NO RETURN POLICY TO MINIMIZE WORK FOR RETURNS AND REFUNDS SO I CAN FOCUS ON JUST SELLING. By bidding, you have agreed to reading this and knowing there are no returns and it is up to you to ask any clarifying questions and ask for pictures. Shipped with USPS Priority Mail. Men's Balenciaga triple S Euro 45 US 12. Condition is Pre-owned. shoes are in perfect condition, only worn twice with no sole wear at all.size 45 euro. 12 usa size. no box just sneakers. Balenciaga envelope clutch bag. Condition is Pre-owned. Shipped with USPS Priority Mail. Leather is in great shape. Authentic Balenciaga clutch bag. Very clean inside with no smells. Look closely at all pics. The handbag was painted by a professional in a silver pewter color. The job is very good. The zipper and Balenciaga label are left with the original color. Pale blue / Violet. Does not take away from the original handbag. Love the clutch and love the new color. I now own a Balenciaga crossover due to a broken ankle. balenciaga bag. Seafoam green, previously bought from someone else on eBay. Used some discoloring but super soft and still has life to her. Condition is Pre-owned. Shipped with USPS Priority Mail. BALENCIAGA SPEED TRAINER "TRIPLE BLACK" SIZE 12 - US. SILHOUETTE: BALENCIAGA SPEED TRAINER. STYLE CODE: 485625-W05G0-1000. Balenciaga Speed Trainers Noir/Noir Sz. 41. 100% Authentic. Purchased from Balenciaga in Beverly Hills. Condition is Pre-owned. Shipped with USPS Priority Mail. CANVAS LIKE MATERIAL BLACK AND WHITE LEATHER LIKE FRONT POCKET WITH ZIPPER CLOSURE. 100% AUTHENTIC. Balenciaga Triple S Honey comb net /net White Size 44 (Men’s Size 10). Condition is New with box. Shipped with USPS Priority Mail. (I bought this bag 2 years ago and have been inseparable with it. Now I am into small crossbody bags so would like to pass this amazing bag to a stylish person:)) This bag can be carried as a hand bag or as a shoulder bag. These shoes are used but are still in good condition. I had for a while ! It’s still in good condition! I don’t have the box no more, but the shoes is still in perfect conditions. I bought myself new pairs, and I want to get rid off this one. BALENCIAGA SPEED TRAINER BLACK RED 2017. Get this Balenciaga Athletic Sneakers now! 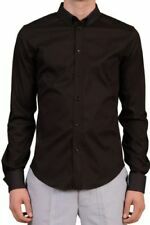 Style code: 530351 W05G0 1000. Balenciaga Classic City Small Tote Bag, Black,Paris. Condition is Pre-owned. Shipped with USPS Priority Mail. New triple s sneakers with dust bag. Original Balenciaga Dust Bag and Authenticity Ticket. Very soft Lambskin Leather Lining. Double Rolled Leather Handles: about 5.5"Drop. Stylish and very soft Leather with many Details. Top Zip - Closure - Roomy Interior - Two open Pockets. Pre owned Balenciaga Triple S sneakers grey blue and red 100% authentic Size 45 euro US 12 NO Original box but includes dust bag and extra laces. Will provide replacement box for shoes Shoes have been worn a few times and still in great condition These shoes will get you tons of compliments .